Photoshop CS6 is now officially launched, and is available for pre-orders. Adobe has just announced the release of the Official Photoshop CS6 Beta. Adobe is offering a complimentary copy of CS6 if you buy CS5.5 now! 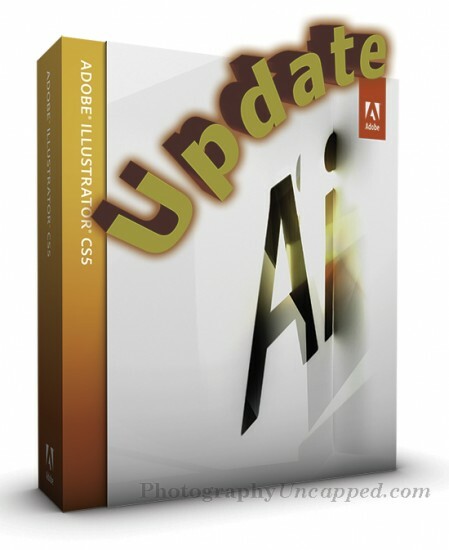 Adobe has issued an updater for Illustrator CS5 5.0 and for the Creative Suites CS5.0. It fixes issues occurring on Mac and Win systems. • Out of memory problems specific to Macs with RAM exceeding 4gb, including failure of shortcut keys, rulers, or file open have been addressed. • Glyph Panel issues have been addressed. • Several crashes occurring at launch or quit have been addressed. • A crash when traversing a variable data set containing linked images has been addressed. • An issue with white lines appearing on rasterized gradient mesh objects has been addressed. Problems specific to running Illustrator on Mac with RAM exceeding 4 gb. This update resolves a problem Illustrator had running on high Ram Machines. On some systems, after opening large complex files, certain operations would fail. This could range from shortcut keys no longer working, rulers disappearing, files not opening, to in some cases, application crashes. Glyphs panel failing to insert stylistic alternatives for glyphs. This update includes a repair to the Glyphs panel, which was failing to insert stylistic alternates. The panel now works as expected. This update fixes a problem where problem fonts with bad FOND resources could cause the application to crash at launch. When some system preferences, like “Number Thousand Separators” were changed to non-default settings, Illustrator was crashing when launched. This no longer occurs with this update. This release resolves a crash that occurs if the application is closed immediately after launching, before the application bar is fully loaded. Several Mac only issues regarding services were addressed in this update. Crashes could occur when you either sign-in or sign-out of CS Live or CS Review and Quit Ai immediately, while the sign-in/sign-out process is still underway. Copy from Illustrator and Paste Special as EMF into other applications not working. There was a problem where copying within Illustrator, then pasting special as EMF in other applications, such as PowerPoint or Excel, stopped working. This has been resolved with this update. Horizontal Lines appear on gradient mesh objects after rasterization. During rasterization, either from the Object>Rasterize menu, saving to a raster format or printing to a bitmap printer, horizontal lines could appear on objects. There were many scenarios where this was an issue. Most of these issues have been addressed in this update. Illustrator crashes when traversing a Dataset of a Variables Library which contains linked images. After importing a Variable library with linked images, traversing through the dataset was causing Illustrator to crash. This has been addressed in this update. Illustrator crashes when launched on XP SP3 if automatic scheduled task creation is disabled. Illustrator was crashing at launch on XP machines with Service Pack 3 for specific domain configurations if automatic scheduled task creation is disabled. This has been resolved in this update. As with all updates, backup, and/or set a Restore Point prior to doing the deed.